Online economic activity is undertaken to earn a profit and to maintain its continuity, full backups, and timely restoration as needed are crucial. 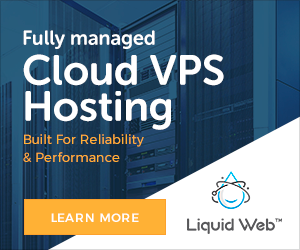 Also, when, there is need to change the hosting company, or change of website from one server to another, backups are important. Select a destination folder where you want to backup your files. Enter an email address in the mentioned field. Once the backup process completed, notified through an email. Click on “ Generate Backup ” button. The files backed-up contain the date of backup in MM-DD-YYYY format. The files converted into a compressed folder with .tar.gz format. You can access these files through SSH or file manager. If you do not have access to both SSC servers, to transfer the files manually through a file manager. For this, the files stored in the public_html directory of your website. Login to your cPanel account and click "MySQL Database." This will create a new user, but you still need to assign it to the database. In the same area, a section called “ Add User To Database ”. Choose the username you have created from the drop-down. Then select the name of your database and click the “ Submit ” button. If you are not sure about the database name, skip the step for now. The database name contains your new cPanel name in first part. Change the first section before the underscore and leave everything else unchanged. 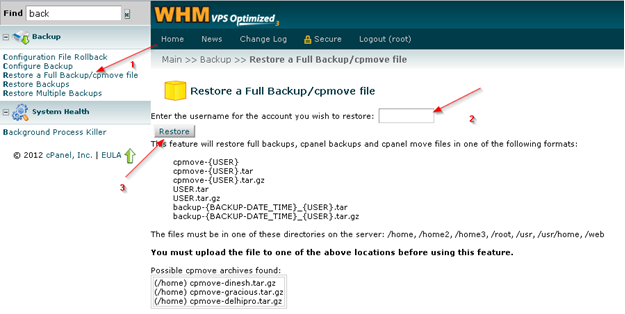 You complete the cPanel backup and restore . You have successfully transferred your website from one server to another.